Yeaaaaaah we know. It’s that time of the year. The homestretch is before us, but the idea of playing yet another long drinking game is unappealing. How many times must we bounce, toss, juggle a ping pong ball before we all admit it’s a tired tradition? Today, we bring you a new, refreshing twist on the time honored indulgence of The Drinking Game. Last time, you needed a baguette and tough skin. This time, all you need is a song (and cups, and alcohol, and people but whatever). It’s time for something new. 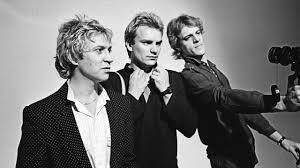 Today we bring you: “Roxanne” by The Police. Roxanne is simple. You turn on the song Roxanne by the Police and divide the room into two teams. Team 1 drinks every time Sting sings just the phrase “Roxanne.” Team 2 drinks every time Sting sings “put on the red light.” Keep going until the song is over. You’ll be ready for the night in under four minutes. That’s the gist, the rest is up to you! Add rules, take away rules, make partners–I don’t care. Cheers! Have a safe weekend. « Safe Rides is Back! It’s “put on the red light,” not “turn on the red light.” It’s a dress, not a light. Do even a little research, Thrill. If you want to simplify, it’s just anytime “red light” or “Roxanne” is sung throughout the song. JK it’s always “put on the red light.” Although you did misquote the lyric haha.